MARINAL traditional reinforced concrete swimming pools are built with a galvanised steel structure, creating a continuous reinforcement. All the reinforcement of the swimming pool is done in only one piece, to obtain a 16cm thick, without splices and uniform concrete. The construction of a one-piece concrete swimming pool makes it a very heavy self-supporting structure (50 tons when empty), extremely resistant to the inside thrust of water, and to the outside thrust of soil. 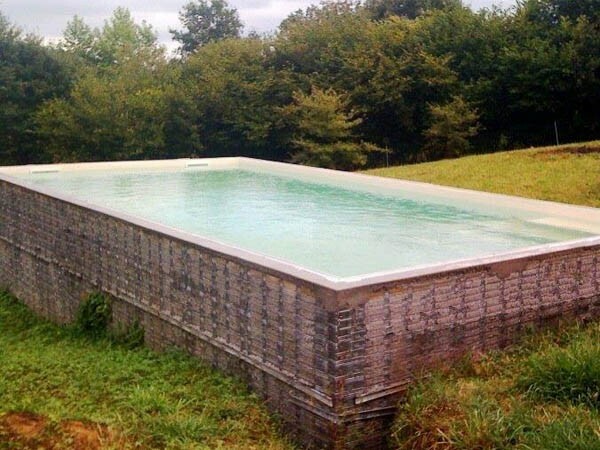 The reinforced concrete swimming pool is guaranteed not-deformable and not-crackable. You do not need a liner, to make the pool watertight. MARINAL reinforced concrete swimming pools are watertight thanks to their one-piece construction process. The concrete is poured in only one go, without any splice. In consequence, there is no structural brittleness. The manufacturing process of one-piece reinforced concrete swimming pools is the only one which guarantees perfectly watertight swimming pools. 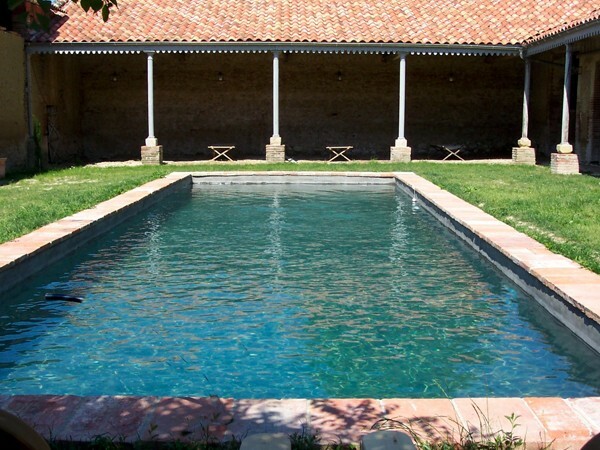 The use of concrete makes it possible to conceive any pool shape for a unique design. Thanks to the steel mesh structure of the swimming pool, we can create on-demand curves, angles and free shapes. The customised shape of your swimming pool must be validated by our MARINAL advisers. Concrete allows any kind of coating: waxed concrete, a finish coat to be applied directly on the concrete, tiles, liner. Concrete is the only building material for swimming pools which allows tiling. The other construction processes are limited to liners to ensure the watertightness of the swimming pool. Choosing a concrete swimming pool, is making the choice of durability and customisation. Do not hesitate to contact a MARINAL adviser for more information. The construction process of MARINAL one-piece reinforced concrete swimming pools respect the construction constraints in seismic zones, or zones at high risk of landslide. MARINAL concrete swimming pools are reliable even in seismic zones (Réunion, Antilles, Italy, Canada, the Alps, the Pyrenees…). The seismic construction constraints are taken into account by a reinforcement of the galvanised expanded metal in the structure and by the use of complementary reinforcements.